A newborn can recognize her parents from other people. The skin could be wrinkled and reddish, nothing like the advertisement images you expect. 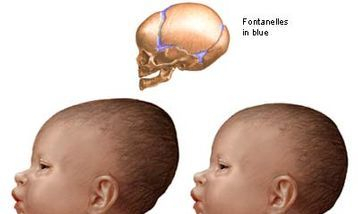 His head can be a little pointed than round, bland at the top center because bones have not come together yet, the primary reason why babies’ head is flexible during birth. Newborn eye’s color may change before they are one year old. Girls and boys breast can be swollen and may have a slight discharge; this is caused by the mother’s hormones.